Home > Books > Who Was John F. Kennedy? : Who Was...? The man who saved the lives of his PT-109 crewmen during WWII and became the 35th president fought-and won-his first battle at the age of two-and-a-half, when he was stricken with scarlet fever. 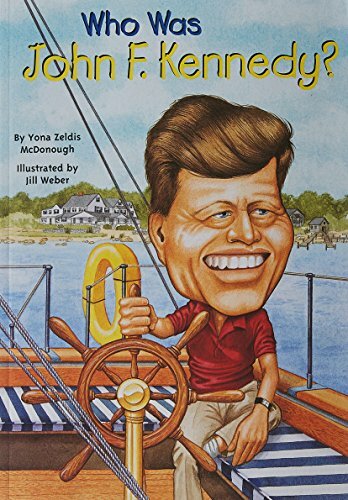 Although his presidency was cut short, our nation's youngest elected leader left an indelible mark on the American consciousness and now is profiled in our Who Was...? series. Included are 100 black-and-white illustrations as well as a timeline that guides readers through this eventful period in history.